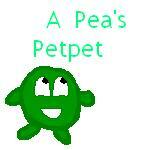 Are you sure that'a a petpet...? "Open a restaurant?" Emperor Basdin was shocked and horrified. "My dear daughter, you are a princess! How could you ever think of such a thing?"